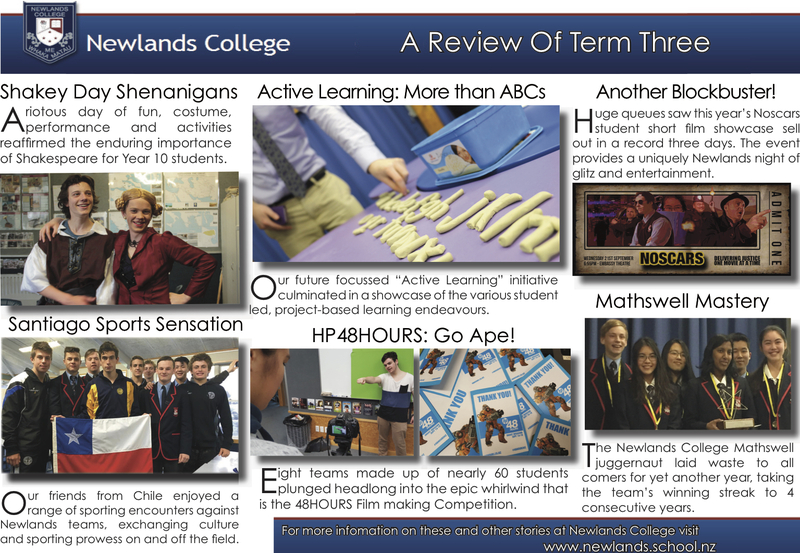 Active Learning was a new initiative for Newlands College this year, whereby students were given time and support to plan and put into action a learning experience that they were personally passionate about. A wide variety of activities occurred, from learning how to brew non-alcoholic drink concentrates to making a working boat entirely out of plastic real estate signs. The video to the right depicts some of our junior students' Active Learning project, where they planned and implemented a series of sporting activities for students of a local primary school. ​For photos of the Term 3 Active Learning Showcase evening held in the school hall, click here. "We are such stuff as dreams are made on and our little life is rounded with a sleep..."
​The annual day-long ode to all things Shakespeare was another riot of fun and games as Year 10s learned about the incomparable dramatist through a series of performances, workshops and competitions. Click here for more pics. Year 9 Writing Week culminates each year with a series of library displays showcasing a combination of visual creativity and wordsmithery. 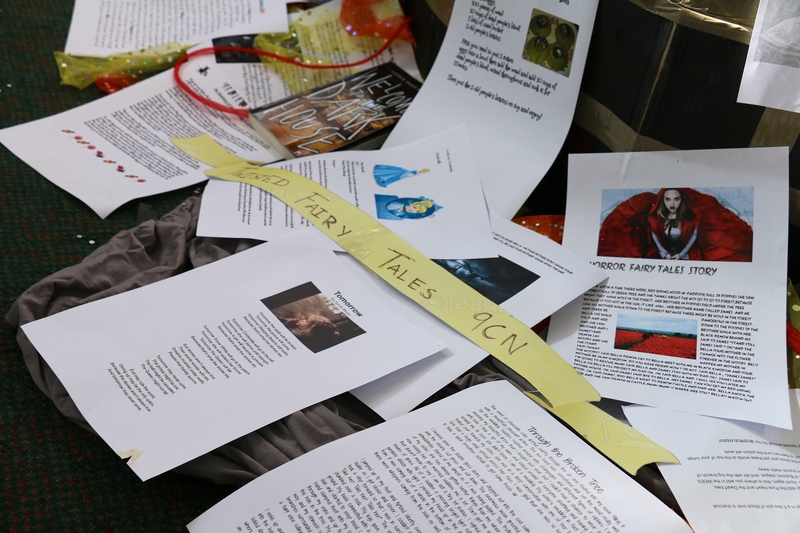 A fiercely competitive event, this year's overall winning class was 9CN with their display centered around the theme of "twisted fairy tales". After fears that the competition would be going on an indefinite hiatus, a later than usual shoot weekend was eventually announced for the last weekend of Term 3. Shaking off the fog of a busy academic term, Newlands College once again dove in to the competition boots and all, fielding 8 teams. When the dust had settled, all 8 teams made it over the finish line with their films on time. 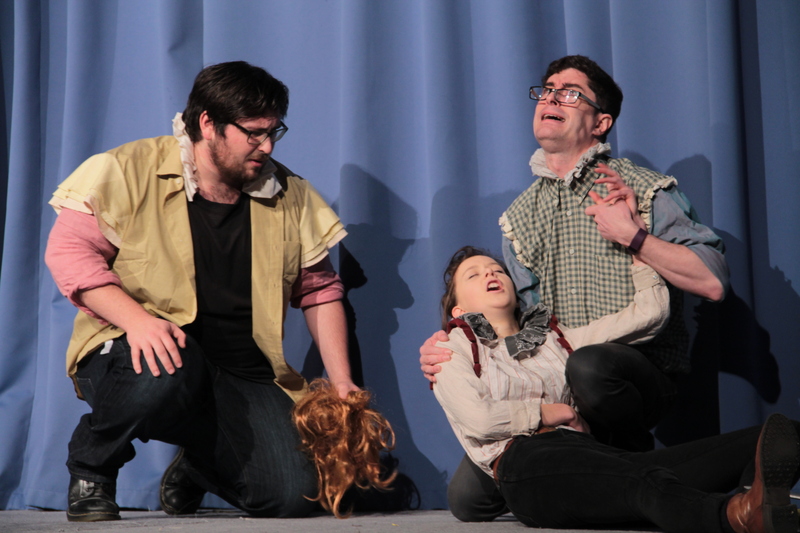 Three of the films went on to be nominated for Best Wellington School Team and, for the third year in a row, a Newlands team was the recipient of the award. Below is the award winning film by team Trumpkins. To see the rest of the films, visit the Newlands Media facebook page by clicking here. A perennial highlight of the school year, our annual short film showcase at the Embassy theatre gives students the chance to experience the glitz and glamour of a Holywood premiere. Dressing up is de rigueur and the evening culminates with an Oscars style awards ceremony replete with cheesy awards hosts banter. Once again, a fantastic night out at the movies was had by all. The below video provides a snapshot of the films, including the award winners. Go here for photos of the evening. 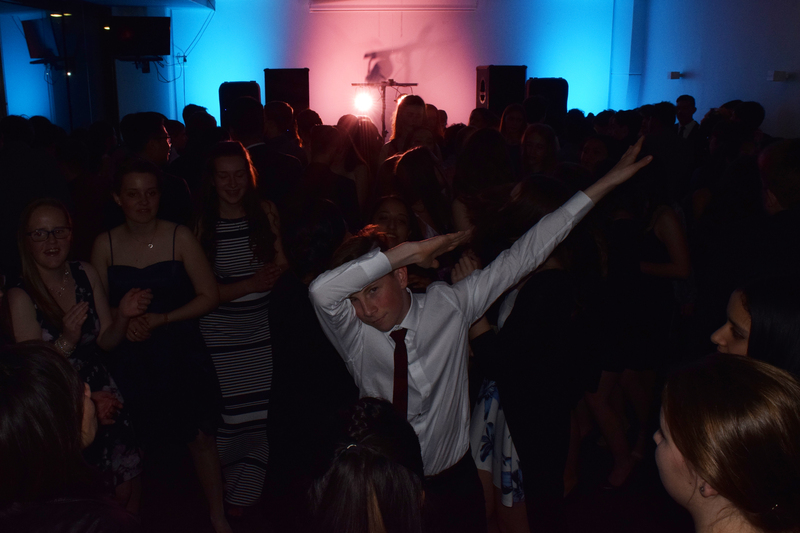 The flurry of end of term events came to a close with the Year 11 Semi-Formal, a social highlight for the year group held at the Westpac stadium. As pictured to the right, gratuitous dabbing was a feature of the night. Go here for photos.